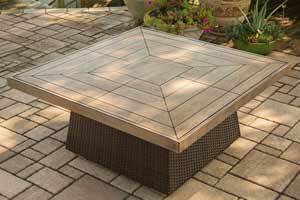 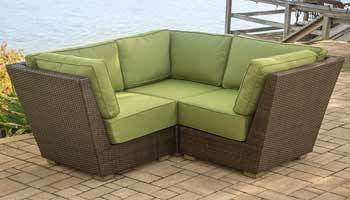 Are you inspired by the boldest new design trends in outdoor furnishings? 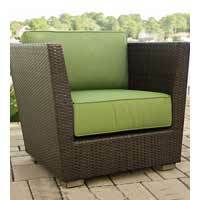 If maximizing the impact of your entertaining skills is something you take seriously, then it's time to add Agio's Newport Beach patio furniture collection to your outdoor setting. 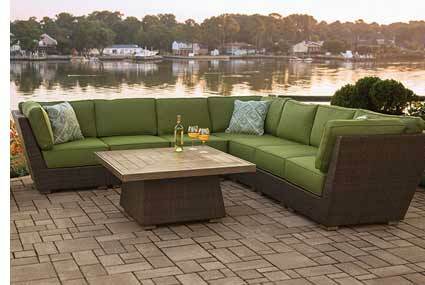 The clean lines of aluminum frames hand wrapped with our durable, fade-resistant all-weather wicker set a trendsetting backdrop for 8" thick deep-seating cushions that are sure to keep your guests in their seats for the best conversation and the best outdoor get-togethers. 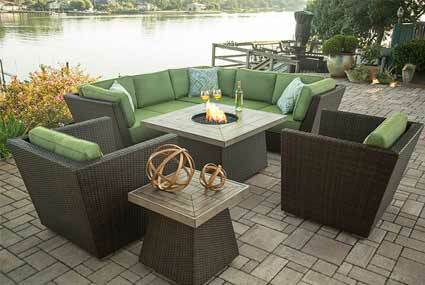 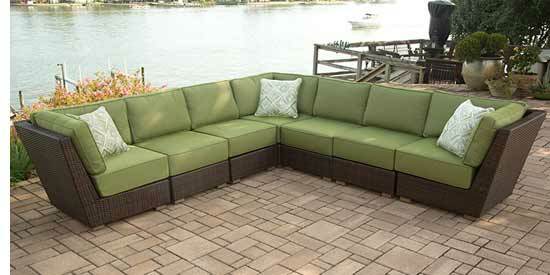 With corner and armless pieces of the versatile sectional, there's no limit to how you put your outdoor room together. 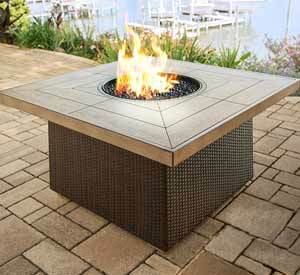 Add coordinating tables and fire pit with woodgrain porcelain tiles and you'll definitely be turning up the heat this season.